After my first attempt to make a Vegan Red Lentil Bolognese, Amelia improved upon it. 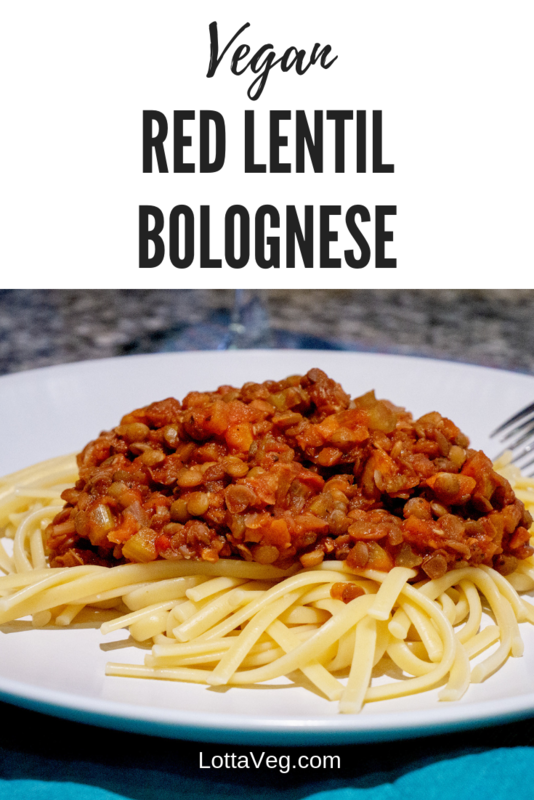 While my version (featured in our Vegan What We Eat In A Day video on our VegansAbroad YouTube Channel) was a little easier and a one-pot bolognese, Amelia’s was more flavorful and closer to a conventional bolognese. Some people recommend cooking the lentils in the same pot as the sauce, but we weren’t happy with how they turned out. We simmered the sauce with the lentils for about 45 minutes and felt like they still could have cooked longer. So in Amelia’s version, we cooked the lentils in a separate pot for about 30 minutes and that worked much better. We’re at high altitude here in Cuenca, Ecuador, so things take longer to cook here. Red lentils at sea level will probably cook in much less time. We served our bolognese over regular linguine pasta, but it’s better if you use whole wheat pasta. Whole wheat vegan products can be difficult to find here, so sometimes we’re stuck with the regular pasta. This recipe pairs well with our Easy Garden Salad. 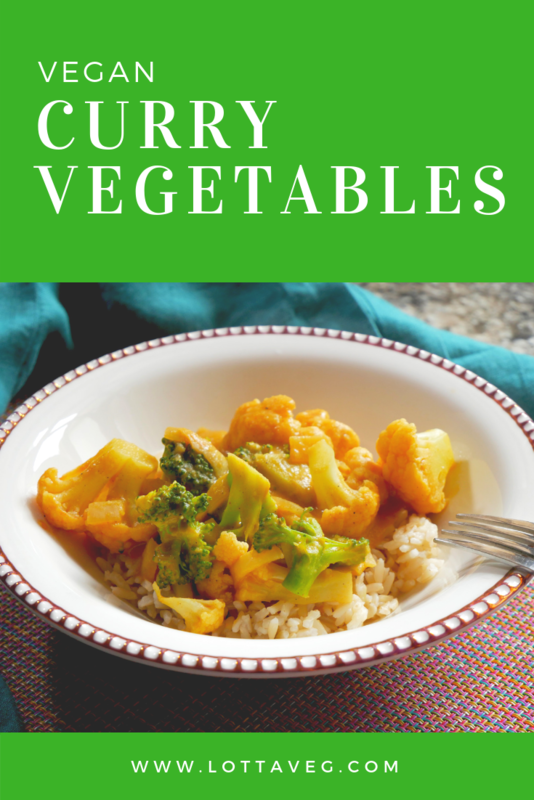 This Vegan Curry Vegetables recipe was inspired by a recipe in “Prevent and Reverse Heart Disease” by Dr. Caldwell Esselstyn. After I found out my cholesterol was still high after eating a plant-based diet for more than 2 years, I realized vegans can still get heart disease. Dr. Esselstyn’s book had a lot of great advice backed by legitimate research, as well as lots of delicious sounding recipes. Amelia put me in charge of this one since I found it. I made it the first time following the recipe in the book pretty much exactly, but I thought it lacked some depth of flavor so I modified it the second time around. Most of Dr. Esselstyn’s study patients were suffering from severe heart disease, so most of the recipes in the book don’t use any salt. Amelia and I both have low blood pressure, so we’re not afraid to use a little salt in our recipes. You can skip the salt if that’s a concern for you. In addition to salt, I added black pepper and tomato sauce. We eat at an Indian restaurant here in Cuenca, Ecuador called Namaste India and they use tomato in a lot of their curry dishes. It gives it a rich, tangy flavor that we really like. The jarred tomato sauce we get here in Ecuador is very thick. It’s closer in consistency to tomato paste so you may need to adjust the amount of tomato sauce depending on how thick it is and your taste preference. We used broccoli and cauliflower in our recipe, but it would be great with some yellow potatoes, too. Some fresh spinach would also be great either blended up in the sauce or added to the skillet during cooking. This is a great one-dish recipe, but you could also eat it with some naan bread or a side salad. This Vegan Enchilada Sauce recipe is mildly spicy with delicious depth of flavor. It’s designed to go with our Sweet Potato Black Bean Enchiladas, but it tastes great on lots of things! Amelia makes us a large batch and we keep it in the fridge for up to a week. I like to heat up some leftover sweet potatoes and pour this sauce over them. 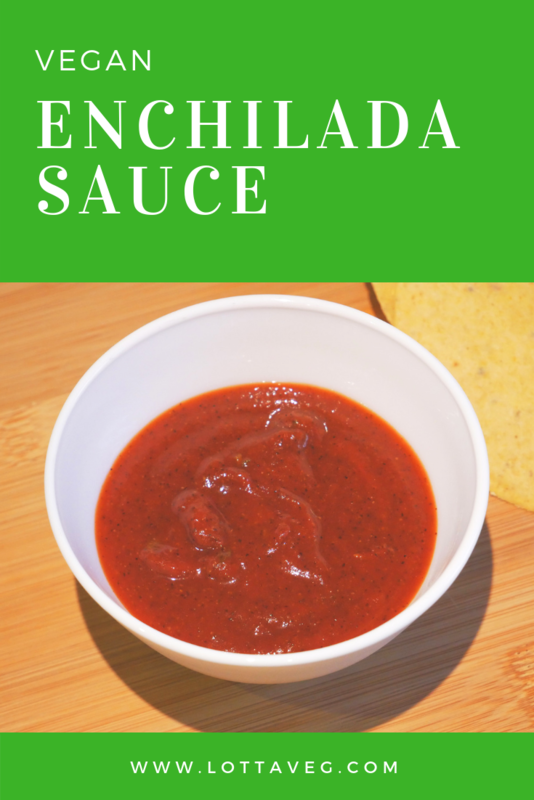 You could also use this enchilada sauce on Vegan Nachos or as a dip for corn chips. As with almost everything we make these days, this recipe is oil-free. There’s just no need for oil in most recipes except some desserts. 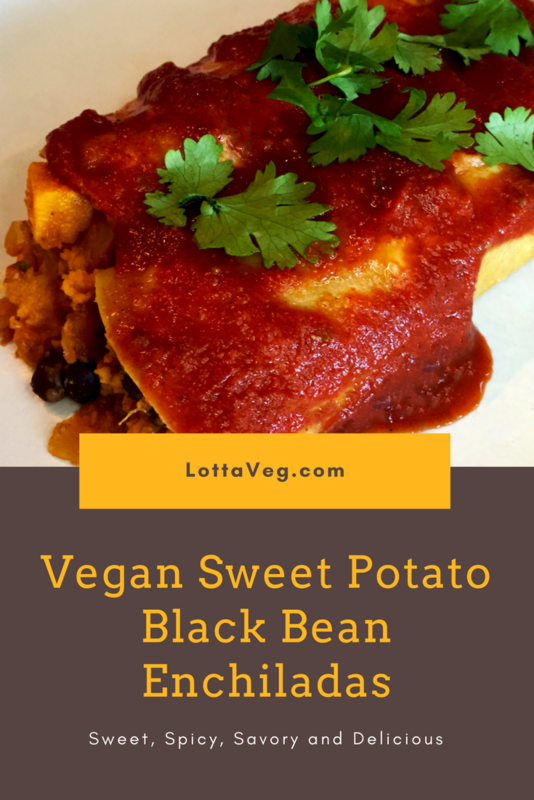 These Vegan Sweet Potato Black Bean Enchiladas are so deliciously amazing we can’t get enough of them! They’re sweet, spicy, savory and oh so flavorful! If you’ve ever cooked your own enchiladas, especially without deep frying the tortillas in oil, you’ll be able to sympathize with us on how challenging it is to get them to look pretty. We had to cook this recipe 3 times to not only perfect the ingredients, but to get the pictures to come out well enough to post on our website. But it was SOOOO worth it! The trick was to steam the tortillas in a steamer pot for about 1o to 15 seconds before assembling them. Kind of like how they do it at Chipotle. That made the tortillas very soft and pliable. We also used Mi Rancho Organic Corn Tortillas with Guar Gum, which also helped hold them together through the steaming and assembly process. We actually took these photos before we baked them, though. So yours might not look the same when they come out of the oven. You can see in the prep photo below what they look like in the casserole dish fresh from the oven. These Sweet Potato Black Bean Enchiladas pair well with a little shredded lettuce salad on the side, along with some Corn Tortilla Corn Chips and some of my Grandpa’s Dipping Hot Sauce. We used grandpa’s hot sauce in our enchiladas, too. If you plan to do the same, be sure to make it ahead of time. 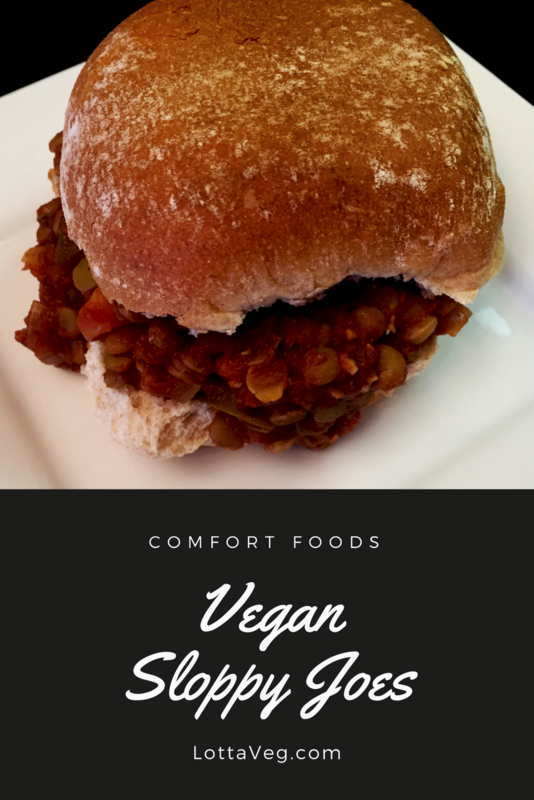 These Vegan Sloppy Joes are loaded with 16g protein thanks to the lentils, and they taste just like the Sloppy Joes I had as a kid. To be honest, though, I didn’t like sloppy joes as a kid. But loved them as an adult. You could make these with Beyond Meat Beefy Crumbles. That would be delicious, but we prefer to stick to whole-foods whenever possible and the lentils are perfect for this recipe. We ate ours the old fashioned way: on a bun. But they would taste great over pasta, Spaghetti Squash and especially over some Boiled Potatoes. As a side dish, some Vegan French Fries and Green Beans would be very tasty! 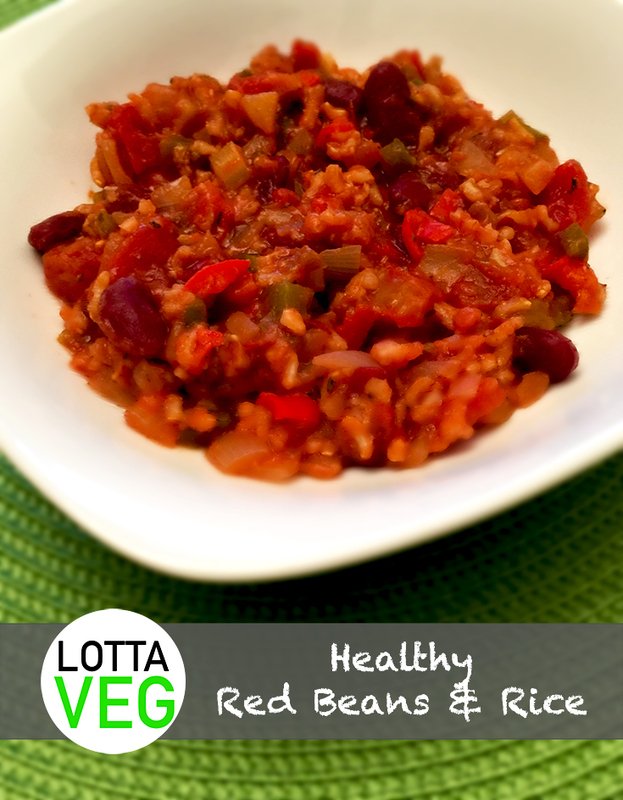 This Healthy Red Beans and Rice recipe is full of color, flavor and texture. With only 209 calories per serving, it packs 12 grams of fiber, 9 grams of protein, 89% RDV of Vitamin A, 174% Vitamin C and 25% Iron. This traditional Creole dish is a nutrition powerhouse! Amelia’s mom gave us this recipe that she found in the American Diabetes Associations’ Diabetes & Heart Healthy Cookbook. I think it’s interesting that the original recipe calls for sautéing the veggies in olive oil when several studies suggest that added fat such as olive oil is a leading cause of Type II diabetes. Needless-to-say, we replaced the oil with vegetable broth as we generally do to remove the added fat. This is a nice one-pot recipe that makes a great stand-alone dish, but it also pairs well with a healthy Side Salad or a slice of multigrain bread for dipping.